We have once again been watching the Great British Baking Show (notice my pic from December 8, 2015), and after school today we decided to have our own contest to determine Star Baker. Would you believe I legit had not just a good time baking with the kids but fun? 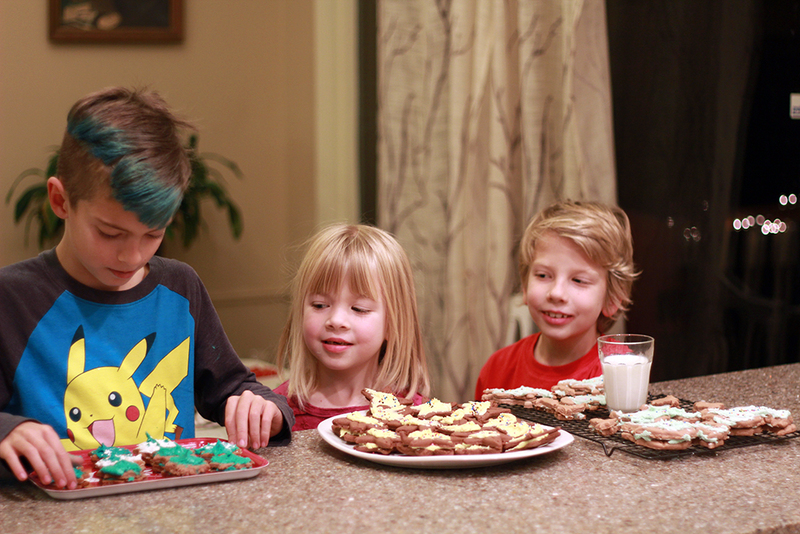 From 4 pm until almost 7 pm, these three kids planned, baked, frosted, and presented their creations. (The challenge was sugar cookies, and they added flavors to their dough and color and flavors to their frosting. Each so creative in their own ways!) They did it all with zero fighting, and honestly they all cracked it, as Paul Hollywood would say. Jason and I were chuffed.